If you’re aged between 17 and 30 and would like help make society a little better, register with the European Solidarity Corps. On 12 March, MEPs approved the priorities for the European Solidarity Corps' programme for 2021-2027. The new programme would include humanitarian aid activities outside the EU. It would also make it easier for everyone to join the corps, including people with disabilities, health issues or a migrant background, as well as those living in remote regions. They would be able to join on a part-time basis. Participants would also be able to join activities in their own country, if these have an international dimension and include volunteers from other countries. The final text must be negotiated and agreed with the Council. 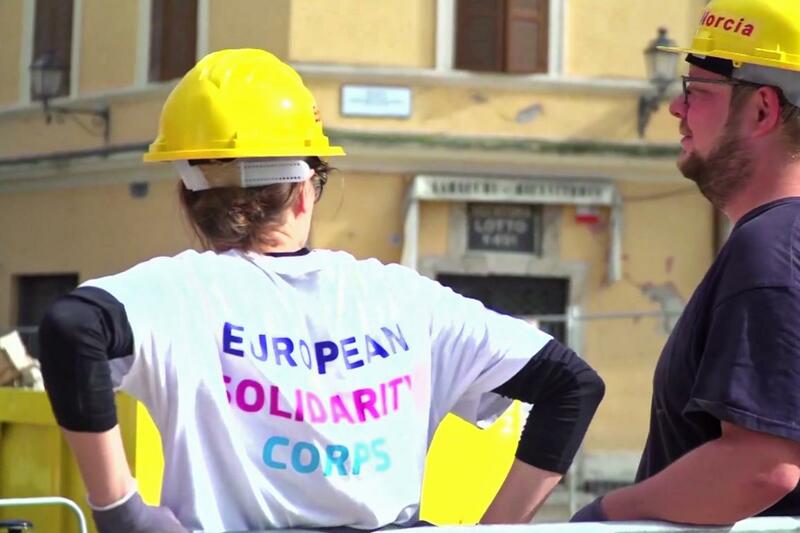 The European Solidarity Corps aims to be the EU's main entry point for young people wanting to volunteer or work on projects to benefit communities and people across Europe. The idea is to give young people the opportunity to acquire valuable competences for personal, social, civic and professional development, including learning and training, while helping other people. The activities should not affect existing jobs or traineeships and contribute to reinforcing companies' corporate social responsibility commitments, but not replace them. “I think we all know that young people are willing to contribute to the European project to create their own future, be in contact with other people and make society a little better,” said Parliament's lead negotiator Helga Trüpel, a German member of the Greens/EFA group. On 11 September 2018, MEPs voted in favour of laying down the legal framework for the European Solidarity Corps. It's possible to register for the European Solidarity Corps already at 17, but projects can only be started when participants are over 18. Find out more about the EU's social policies. Youth unemployment remains a key concern in Europe. Find out what measures the EU has put in place to help. One year ahead of the European elections, young people from across the EU and beyond set their priorities for Europe’s future at Parliament’s European Youth Event (EYE) on 1-2 June 2018.